Levi J. Knight, first settler of the Ray City, GA area, has been a central subject of this blog. Levi J. Knight fought in the Indian War of 1836-1839 and served as Captain of the Lowndes Militia. After the resignation of Major General Ezekiel Wimberly, Knight was elected Major General of the 6th Division of Georgia Militia on December 4, 1840. In that same election, John McPherson Berrien was elected to the U.S. Senate., a position he held until 1850. 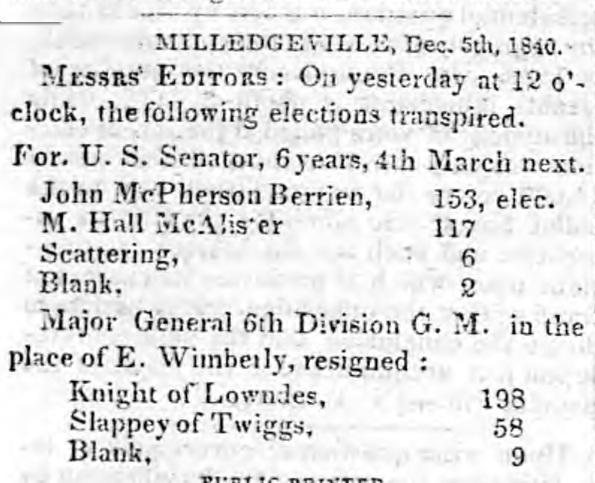 Announcement of the election of Levi J. Knight to Major General of the Militia, Milledgeville Recorder, Dec 8, 1840. Levi J. Knight of Lowndes county, was elected, on Friday last, Major General of the sixth Division G.M., in place of Gen. E. Wimberly, resigned. Election of Major General Levi J. Knight, Columbus Enquirer, Dec. 9, 1840. Messrs Editors: On yesterday at 12 o’clock, the following elections transpired. For. U.S. Senator, 6 years, 4th March next. 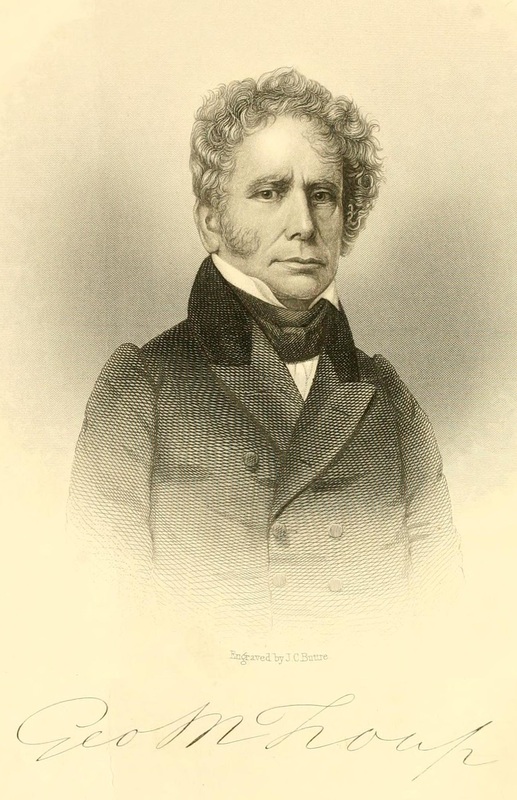 John McPherson Berrien, 153, elec. 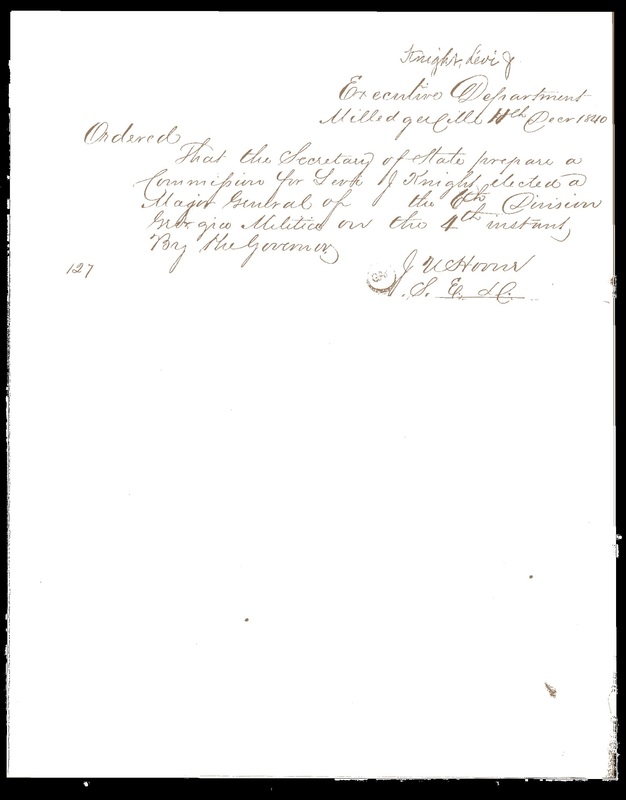 Following the election, Knight received an official commission as Major General, by order of the Governor. Executive order commissioning Levi J. Knight as Major General of the Georgia Militia, Dec 11, 1840. For ten years Levi J. Knight served in the militia as Major General. In the 1850 Census of Lowndes County, GA he owned real estate valued at $5000. His occupation was listed as farming. The census enumerates Levi J. Knight (47) with the following in his household: Ann D. (48), William W. (21), John (18), Mary A. (14), Levi A. (12), Jonathan D. (10), Keziah A. (7), and also Elizabeth Clements, age 80, blind, born in Ireland. Sons William and John assisted with farming. The General’s neighbors were his son-in-law, Hardeman Sirmans, and William Patton, who was Justice of the Peace. 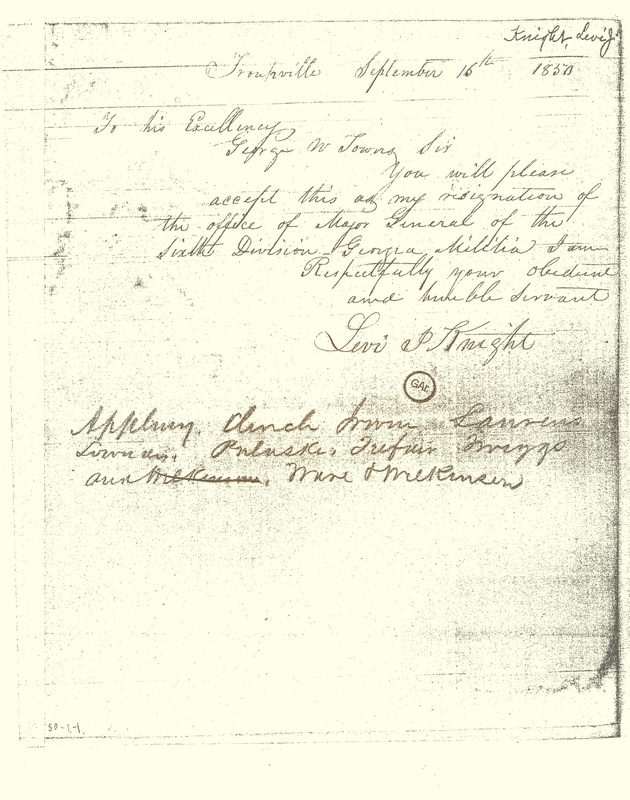 In 1850 Levi J. Knight resigned his commission as Major General of the 6th Division of the Georgia Militia, an office he held since 1840, tendering his resignation in a letter to Governor George W. Towns.